The project consists of 11 entities from Germany, Poland, Netherlands, Spain and Portugal. Three are Technologic Centres, three Universities, three Engineering Companies and two Distribution System Operators. 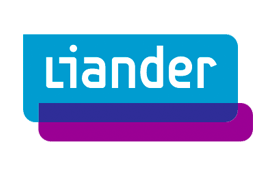 Alliander is the largest independent grid operator (DNO) in the Netherlands, currently serving around 3mln customers with electricity and 2.5mln with gas. We have been managing gas networks for over 180 years and electric networks for over a century. During this time many things changed, but we always adapted in time to serve the new needs of our customers. Our goal is to keep energy affordable, sustainable and reliable. With the increase in locally produced renewable energy we expect a change in the way supply and demand is managed. Rather than just balancing on a national level, we expect to have more need of balancing supply and demand on a local level. Both to keep the energy system stable and energy efficient and to limit the cost of the energy system. This project can help us achieve these goals while protecting the interest, privacy can freedom of choice for our customers. CEMOSA – Centro de Estudios de Materiales y Control de Obra, S.A.
CEMOSA is a Spanish engineering and quality control company in the field of construction (including transport infrastructure engineering, hydraulic works, building and industrial works) founded in 1972. CEMOSA has a strong commitment in Sustainable Development. Its Building Area has a clear focus on Energy Efficient Buildings. 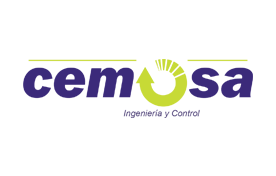 Most energy efficient works developed by CEMOSA belong to one or more of the followings activities: Energy Audits and Savings; Energy Efficient Building Engineering; Trigeneration; CO2 consumption and Professional Training Courses. With respect to R&D activities, CEMOSA is coordinating two FP7 projects: one of them entitled Automated and cost effective maintenance for railway (ACEM Rail) in the Sustainable Surface Transport theme and another one, very linked to e-balance, entitled Self-learning Energy Efficient builDings and open Spaces (SEEDS) which focuses on the development of an innovative Building Energy management System based on innovative building modelling based on measurement, self-learning and optimization algorithms and the use of wireless technologies. It also participates, as partner, in other FP7 R&D projects focused in Energy Efficient Buildings: Total Renovation Strategies for Energy Reduction in Public Building Stock (BRICKER) and Collaborative Holistic Design Laboratory and Methodology for Energy-Efficient Embedded Buildings (eeEmbedded). At national level, CEMOSA participates in R&D projects funded by Spanish National Administration, private customers or itself. Moreover, CEMOSA is an active member of the European Energy efficient Building Association (E2BA), the Spanish Technology Construction Platform, the Spanish Technology Platform for Roads (being a member of its Executive Committee), and the Spanish Technology Platform for Railways. EDP Distribuição – Energia, S.A.
EDP Distribuição – Energia, S.A. is the EDP Group’s company operating in the regulated distribution and supply businesses in Portugal. 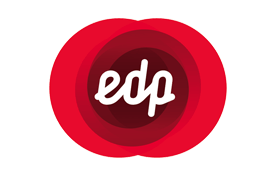 EDP Distribuição owns approximately 99% of the electricity distribution network in mainland Portugal – it does not own the auto-producers and small cooperatives network. Besides the high-voltage (60 kV), medium-voltage (specifically the 30kV, 15kV and 10kV) and low-voltage overhead and underground power lines, the distribution network also consists of sub-stations, transformation posts and other equipment necessary for its exploitation. The facilities used for public lighting are also part of the distribution network. These infrastructures are fundamental for EDP Distribuição’s electricity distribution activity and their construction and exploitation are strongly related to the company’s need to satisfy the increases in consumption and to guarantee the level of quality defined by the regulatory parameters and in accordance with customer expectations. 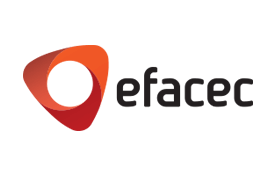 EFACEC Engenharia e Sistemas S.A.
EFACEC Engenharia e Sistemas, S. A. is a member of the EFACEC Group, the largest Portuguese group in the electromechanical area. The areas where EFACEC Engenharia e Sistemas is active involve the supply of turnkey engineering systems, including basic and detailed project, procurement, erection, and testing. EFACEC Engenharia e Sistemas carries out its activities in the fields of Energy, providing Energy Solutions projected for Power Generation, Transmission, Distribution and Power Systems Automation. Power Systems Automation Business Unit: After developing its own technology and acquiring expertise over a period started in the early 80’s, this business unit focused its core business on solutions for Power Networks Management and Automation, based on a philosophy of innovation and differentiation with a strong integration capability of diversified technological competences. The EFACEC Group provides solution for Distribution / Transmission, Network Management Systems (SCADA/DMS/EMS), Integrated Substation Command, Control and Protection Systems, Distribution Automation, Generation, Power Plants Management Systems (SCADA/EMS), Renewable Energy Power Plants Dispatching, Hydroelectric Power Plant Automation, Wind Farms Power Plant Automation. Within EFACEC Engenharia e Sistemas, the Automation Business Unit supplies turnkey systems for power system management, automation and protection. The Automation Business Unit has been developing R&D activities in the power system management since 1984. Major developments are in the areas of SCADA/EMS/DMS systems and substation automation and protection systems, for transmission and distribution networks. 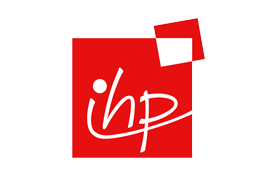 IHP, a member of the Leibniz association, is doing research and development in the area of microelectronics and information technology. As a European research and innovation centre for wireless communication technologies, it is our aim to strengthen the competitiveness of the German and European microelectronic industry. IHP has a closed innovation chain with core competences in materials research, semiconductor technology, circuit design and system development. It is used for the development of vertically optimized solutions from materials up to prototypes. Of central importance is the IHP pilot line equipped for 0.25 µm and 0.13 µm SiGe BiCMOS technologies. With its long-term experience in silicon microelectronics IHP cooperates in many national and international projects with Universities, research institutions and with industry. The System Design department conducts research and development for high-end wireless solutions. The main research topics are: Sensor networks and nodes, Wireless Internet application and optimized protocol processors for network and cryptographic operations. 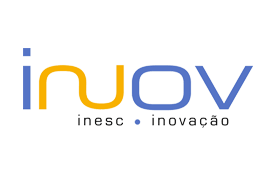 INESC Inovação (INOV) is a private non-for profit organization dedicated to applied research, technological development and technology transfer in the areas of electronics, Information technologies and telecommunications. One of INOV’s main purposes is to participate in technological development and innovation processes in close cooperation with companies and universities. INOV has a long history of close interaction with many industrial and service partners, both national and international, and has acquired a strong know-how as an interface institute between academia and industry. INOV has presently a staff of around sixty people, in which fifty of them are doctors or graduated in engineering. INOV has participated in several European collaborative R&D projects in its areas of expertise, namely in Telecommunications and Networking. In the areas akin to the project, INOV has accumulated strong technical expertise in Telecommunication Equipments and Services, Mobile Communication Systems, Wireless Sensor Networks, Network Architecture and Protocols and Remote Surveillance Systems. Lesswire GmbH is an engineering company specialized on the development of short rage communication systems within the context of the automation and automotive industry. To that end it has developed several wireless products for mayor partners in these sectors. 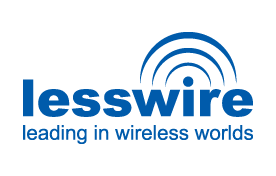 Lesswire has a many experiences in using wireless technologies such as Bluetooth WLAN, Wireless Mbus, ZigBee and GSM/UMTS/LTE. In the field of industry automation lesswire developed wireless solutions for real-time communication systems based on Bluetooth. In the sector of building automation, lesswire developed solutions for the wireless readout of heat cost allocators on the basis of 868 MHz radio modules. As core product in the field of smart home control lesswire developed the multi interface gateway HWC which has the ability to connect various sensors and actuators within a building, and to enable their management over the Internet. Since 2006 lesswire is 100% part of PRETTL Electronics AG. 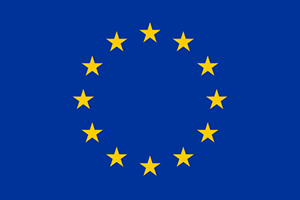 lesswire has both FP6 and FP7 project experience by participating in EU projects ParcelCall, GeoNet and ITSSv6. Bozena Ewa Matusiak, PhD DSc. Prof.
Department of Computer Sciences in the Faculty of Management University of Lodz is doing research, development and teaching in an area of information systems in management and control. More than twenty years ago we have designed and implemented the load forecasting system in one of the Polish utilities. In the same time the Department started as the participant in the EU education project TEMPUS JEP 1785-91/1 and after completing – we joined the next EU education project SJEP-07149-94 ESCADINA (Energy System Curriculum Advancement Through Innovative Approaches). From 2004 we joined the FP6 project EU DEEP (The birth of European Distributed EnErgy Partnership that will help the large scale implementation of distributed energy resources in Europe) continuing participation in following EU projects: SYNERGY+ (Expanding the Competitive Intelligence in the European Distributed Energy Resource Sector) MORE MICROGRIDS (Advanced Architectures and Control Concepts for More Microgrids) and SEESGEN-ICT (Supporting Energy Efficiency in Smart Generation Grids Through ICT). 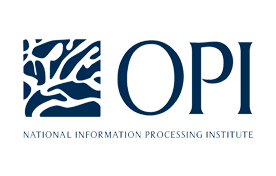 The Interactive Technologies Laboratory (LABi) – IPI Research Unit is an research unit at Information Processing Institute in Warsaw, Poland. It is an interdisciplinary research team employing specialists from varied science fields: social and cognitive psychology, information technologies, neuroscience, and user centered design. LABi’s area of interest are the phenomena associated with individual human interaction with technologies, especially social context of the human-computer communication. The laboratory works on analysis of multiple aspects of human interaction with electronic devices. LABi’s employees focus on designing new ways of human-computer interaction (HCI) – not only innovative forms of mutual contact, but also the importance of cognitive psychology and emotional factors on the effective use of technology. 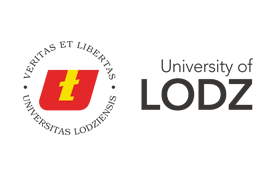 Thanks to collaboration with the leading research centres in Poland and abroad, Labi uses the most up-to-date methods of research. Constant contact with world-level scientists, IT and industry sector representatives ensures transfer of our research outcomes to the business. Laboratory’s research facilities permit advanced empirical projects on human-computer interaction. The University of Málaga has about 40.000 students and is located on two campuses. The main technical degrees at undergraduate and graduate levels are those in Industrial/Mechanical Engineering, Telecommunications Engineering and Computer Science. The Department of Languages y Computer Science of the University of Málaga consists of about 110 members including full, associate and assistant professors, instructors and fellows, and teaches in all the technical engineering degrees of this University, including a high quality Ph. D. Program (officially recognized by the Spanish Government Quality Control Program). 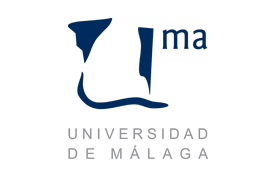 This partner is formed by several members of this department and all of them belonging to the Software Engineering Group at the University of Málaga (GISUM). This group has great experience in distributed embedded systems, security and software engineering. The group has carried out several projects funded by public and private Spanish institutions (CICYT, Telefónica I+D, Eliop, Alcatel, Red Eléctrica.,…), its technology transfer capabilities being widely recognized. It has also collaborated with several European groups, as is shown by its participation in most of the ESPRIT and IST calls. The group is currently involved in several IST FP6-FP7 initiatives: the AOSD NoE and the UBISEC, AMPLE, PRIVILEGE, SMEPP and WSN4CIP projects. In addition, many of its members actively participate in the organization of different high quality research events and standardisation organizations (OMG, ISO). In the field of building automation, some of the group members collaborate in the SEEDS project in collaboration with Softcrits, a spin-off of the group that works in the field of ICT in Safety Critical Systems. The University of Twente (UTWENTE) is a Dutch entrepreneurial research university employing 3000 people and having around 8000 students. Research in the area of telematics is organized within the Centre for Telematics and Information Technology (CTIT), which is one of the largest academic ICT research institutes in Europe. Involving over 475 researchers. Among the strategic research orientations of the CTIT are Wireless and Sensor Systems and Security and Dependable Systems and Networks. CTIT is one of the founding fathers of the Netherlands Institute for Research on ICT (3TU.NIRICT) bundling ICT research of the three Technical Universities in the Netherlands. 3TU.NIRICT is a core-member of EIT.ICT Labs. UTWENTE/DACS (Design and Analysis of Communication Systems) focuses on dependable networked systems. A (networked) system is called dependable, whenever reliance can justifiably be placed on the services it delivers. Tailored to communication systems, which can be wired, wireless, or embedded in other systems, this means that we aim to contribute to the design and implementation of dependable networked systems, as well as to methods and techniques to support the design and dimensioning of such systems, such that they are dependable, in all phases of their lifecycle. 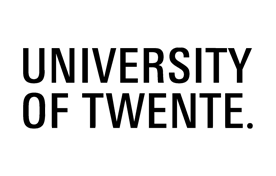 UTWENTE thereby interprets the term dependability as encompassing availability, reliability, performance (quality of service) and security. Dependability is also a key concern in the services market (7×24 availability of online services); major retailers, banks and insurance companies are important players in this field. An important area of application concerns critical infrastructures, more in particular, infrastructures that are “run” using ICT, such as the smart grid or the international gas and oil grids. The dependability of the ICT support system in these fields is paramount to the economy of (western) societies. The UTWENTE/DACS and UTWENTE/CAES groups are members of the Dutch expertise center on smart energy management, denoted as Smart Energy Technology and Systems (SETS). Efficient architectures and tools for streaming applications. ICT for energy management of buildings and smart grids. Energy-efficiency is one of the focus areas of the University of Twente, but also of society. This can be observed in the energy focus of National and International funding organizations such as NWO, STW and EU-FP7. The group was asked in 2009 to chair the NWO/STW/ICTRegie committee to write a programme for Smart Energy Systems (SES). 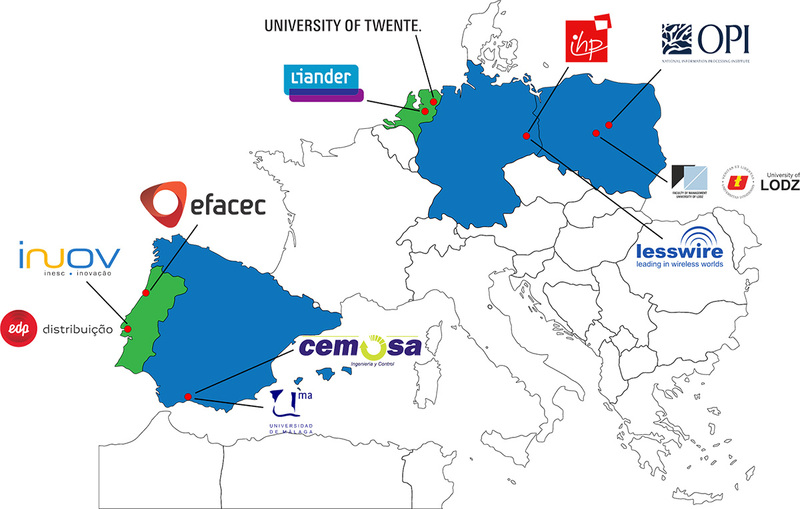 Furthermore, the group initiated an expertise center at the University of Twente on smart energy management, denoted as Smart Energy Technology and Systems (SETS). In SETS the University of Twente works closely together with companies active in the energy field. Professional impact is illustrated by contributions to top conferences in our field (e.g. DATE and DAC), contributions to IEEE/ACM journals (e.g. IEEE TVLSI, IEEE Transactions on Smart Grid, and ACM TECS). Similar, to the main focus of UTWENTE/DACS an important area of application concerns critical infrastructures, such as smart grids. This project has received funding from the European Union’s Seventh Framework Programme for research, technological development and demonstration under grant agreement nº 609132. © e-balance, 2013 - 2018. All rights reserved.